I decided to break the seal on my Pi and install Raspbmc to use it as media centre. Raspbmc is Linux distribution that brings XBMC (open source (GPL) software media player and entertainment hub) to the Raspberry Pi. I have an Apple TV and a PS3 that I currently use for streaming video to my TV. The PS3 doesn’t handle large files well because it doesn’t have wireless N. It also doesn’t support MKV files. I have used an app call Air Parrot to mirror my laptop screen on my Apple TV to solve the problem of streaming larges Hi-Def MKVs. This setup is not convenient. 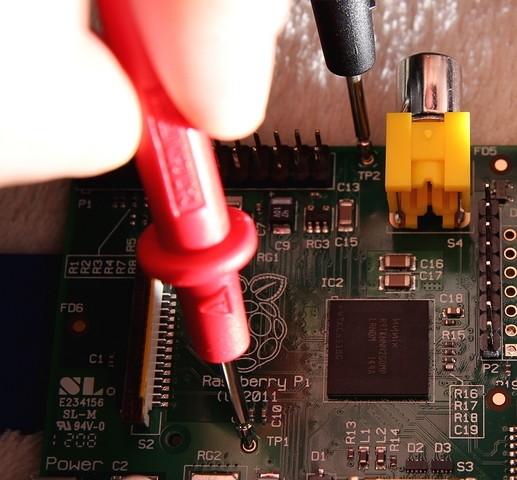 Enter the Raspberry Pi. This is the list of hardware I acquired for a media centre. Not all of these items are required to get up and running. At first I thought a had a bad image / SD card. I tried reformatting, reinstalling Raspbmc and alternate SD cards with the same result. I then checked the actual voltage on the Raspberry Pi circuit board. There are two test points labelled TP1 and TP2. With a multimeter which is set to the range 20 volts DC (or 20v =), you should see a voltage between 4.75 and 5.25 volts. I was getting a reading of 4.20 volts, indicating that I had a problem with my power supply or power cable.. When I contacting my PSU vendor they indicated they had recently got a bad shipment of power cables. When I replaced the cable with a USB to Micro USB from my Blackberry Playbook, the PI booted into NOOBs and displayed a list of operating systems to install. Once I installed Raspbmc, it was really easy to configure the WiFi dongle and starting streaming files from my NAS. Streaming HD video over WiFi to my #RaspberyPi running #Raspbmc with no buffering or stuttering at all. 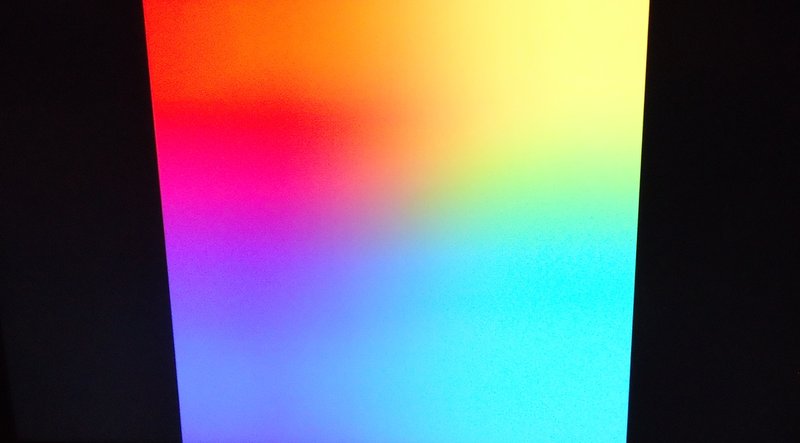 This rainbow square is test GPU on startup kernel before boot.